How to speed up a website at a 50 % discount? Fantastic opportunity to speed up your websites content delivery for half the usual G-CDN list price! Ultra-fast delivery of content across the world has become even more accessible. We have new favorable plans, especially for those who are looking for a global, powerful and affordable service. You can also get access to all advanced features with every plan. The offer is valid only until March 31, 2019. Don’t miss on that opportunity to sign up for CDN for half the price. Sign up and apply promotional code CDNSALE. Select one of the plans with up to 2TB. Pay for the CDN service with a bank card. So you can pay 2 times less each month! Signing up for a CDN will help you speed up your website, increase the time users stay on the site and improve the conversion of your online store. Refer to What is a CDN page to learn why an internet business needs a content delivery network to grow. 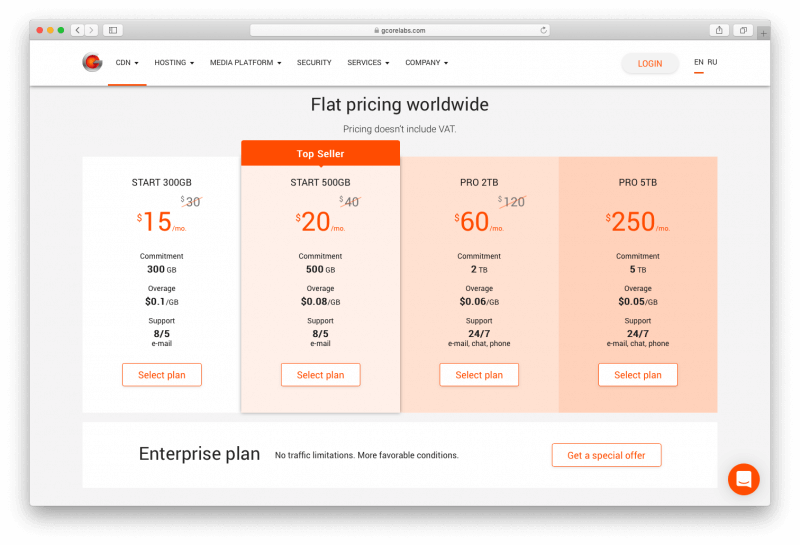 Learn about all the possibilities and advantages of G-CDN on a service page and sign up at half price until the end of March.